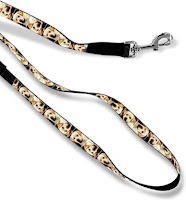 Design and order your leash and you will notice that the credit towards the free leash will be applied automatically. Head to checkout and after you have entered your billing and shipping info, scroll to the bottom to enter the coupon code PRESDAY to get free shipping. Order yours today for that special pooch in your life!